Bright and cheerful in the morning sun, Soleil (French for sun) describes this room perfectly; as Santa Fe is one of the sunniest places in the world. The bright and charming features of this room include wooden visas (ceiling beams), pine plank flooring and other unique southwest decorative details. There is also a beautiful view of our small vineyard and of the horses across the road, set against a backdrop of the sun setting behind the mountains, to enhance your stay. 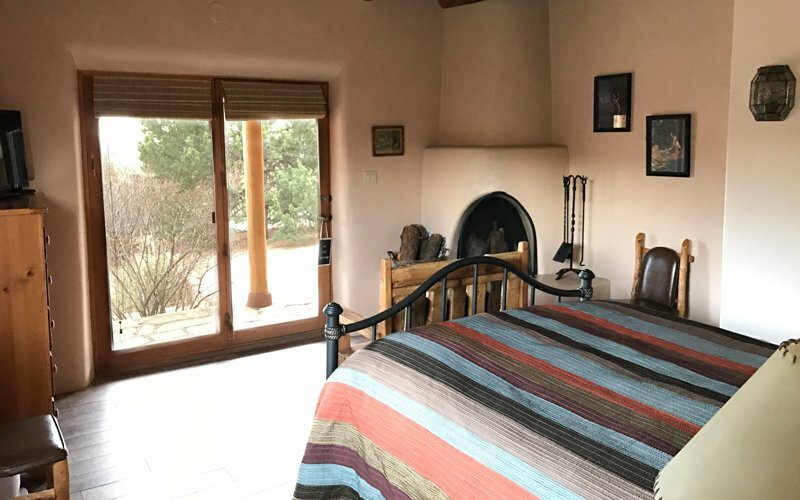 The Soleil room is great for a girlfriend getaway or for two friends who want to enjoy the Santa Fe bed and breakfast experience. There are two XL twin beds which can be converted to a king bed (please notify us in advance). The beds have comfortable pillow top mattresses and we use high quality linens. 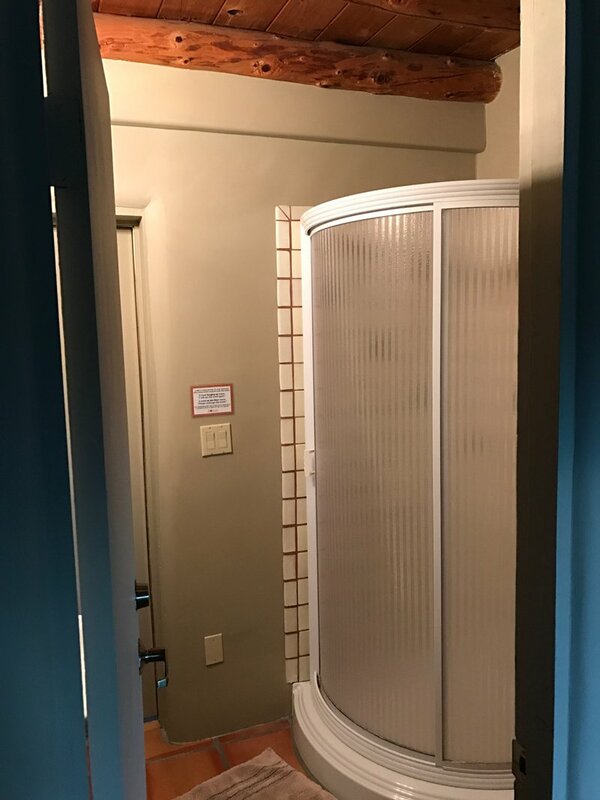 The private bathroom has a stand-up shower and this room is on the central air system in the Lodge. 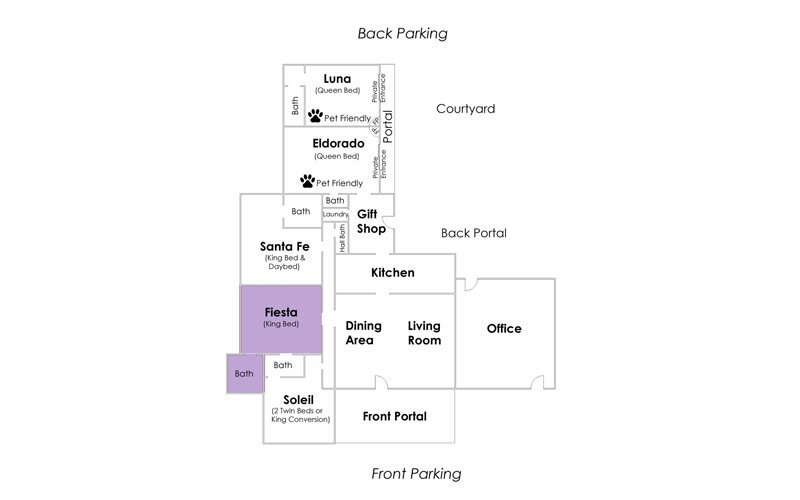 The Soleil adjoins the Fiesta Room and can be rented with the Fiesta as a suite. This is a nice amenity for families or friends traveling together. There is a door with a dead bolt lock between the two rooms, which we keep locked for individual room use. 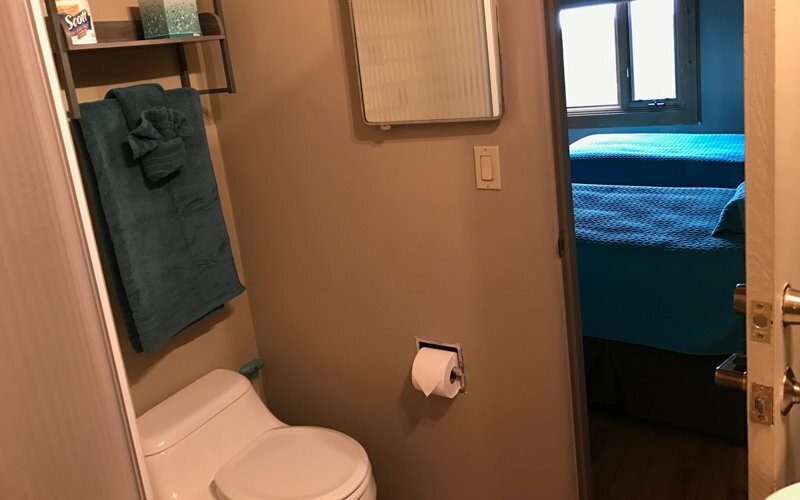 Amenities for this room include TV, Cable, high-speed WiFi, coffee maker with local Pinon coffee and all the fixings, bottles of water, a hair dryer, shampoo, conditioner, glycerin soap and body lotion. 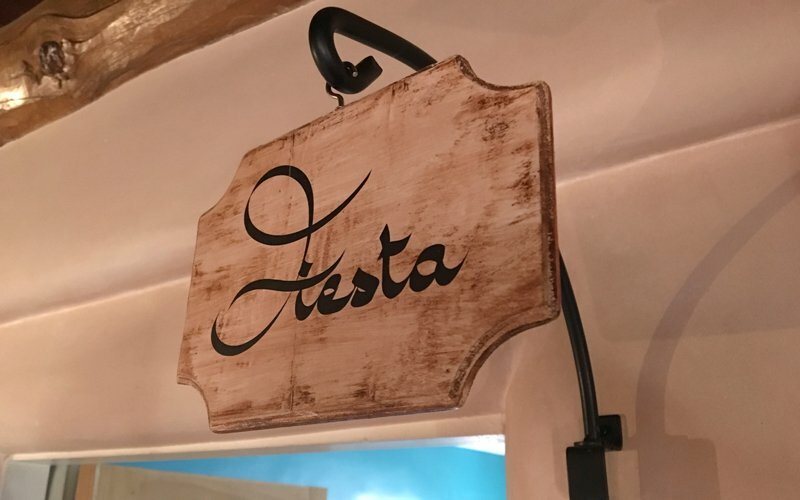 Bold colors make the Fiesta Room bring out the best of the Santa Fe palette and make it very cheerful and welcoming. 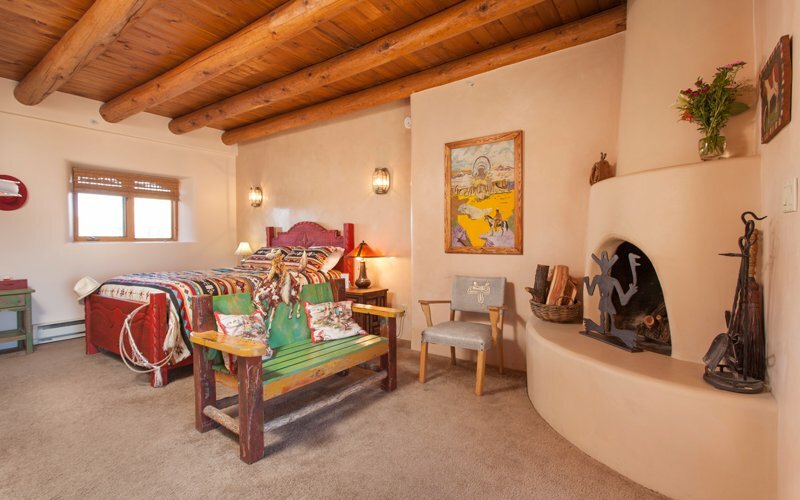 The room has comfortable chairs to relax in Santa Fe style lamps on both sides of the bed, and a glass table with carved horse head legs painted in hues of pink, red, and turquoise. Views of the foothills with pinon and juniper trees in the foreground make the Fiesta room a bright high desert retreat. 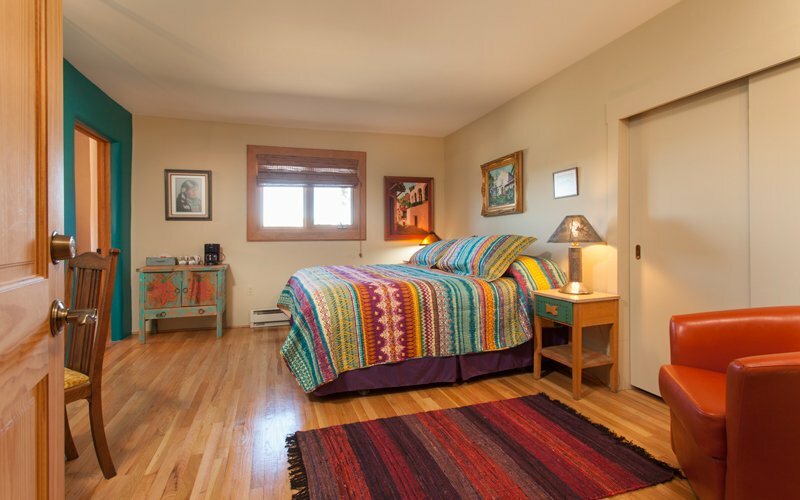 This room has a king size bed with a bright and festive bedspread and a headboard made from a local, aged wooden gate. The beds have comfortable pillow top mattresses and high quality linens. There are hardwood floors and an individual air conditioning system for guest’s comfort during warmer times of the year. 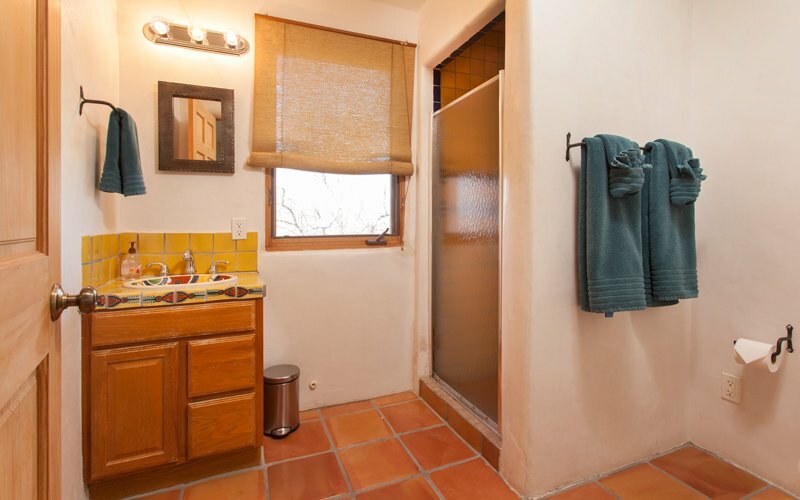 The private bathroom has a Mexican tiled stand-up shower and a Saltillo-tiled floor. 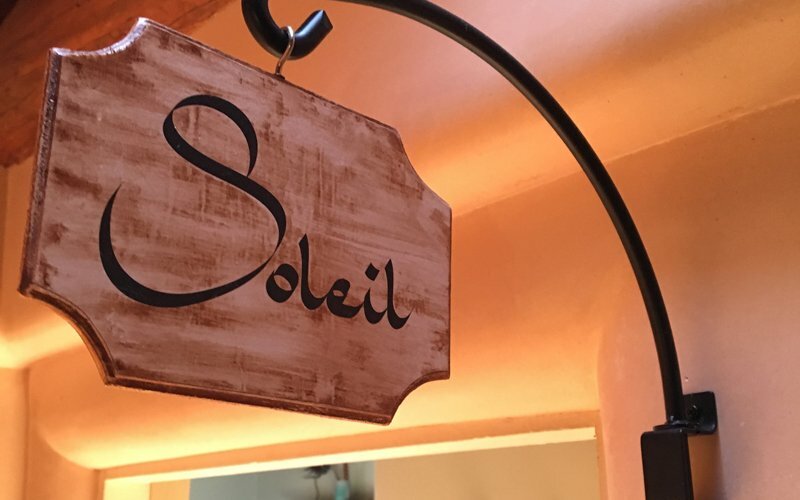 The Fiesta adjoins the Soleil Room and can be rented with the Soleil as a suite. A nice amenity for families or friends traveling together. There is a door with a dead bolt lock between the two rooms, to assure privacy for individual room use. 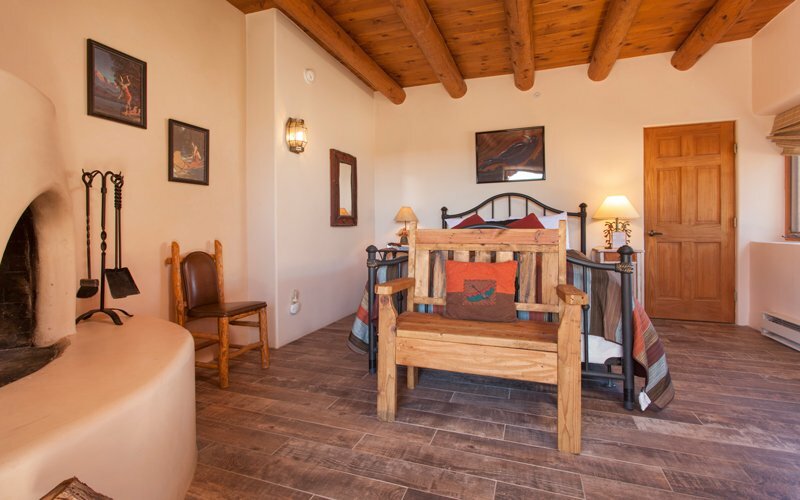 Amenities for this room include TV, Cable, high-speed WiFi, coffee maker with local Pinon coffee and all the fixings, bottles of purified water, a hair dryer, shampoo, conditioner, glycerin soap and body lotion. 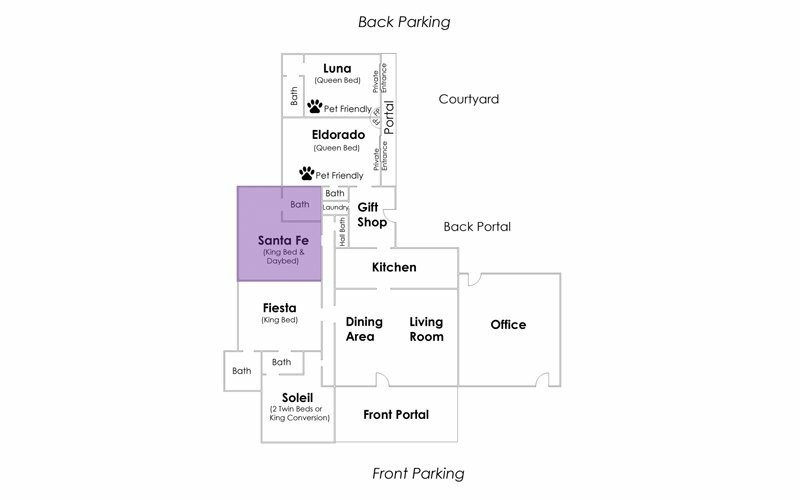 The Santa Fe is our largest, most spacious and open room which makes it ideal for the guest that wants to spread out in this comfortable space. 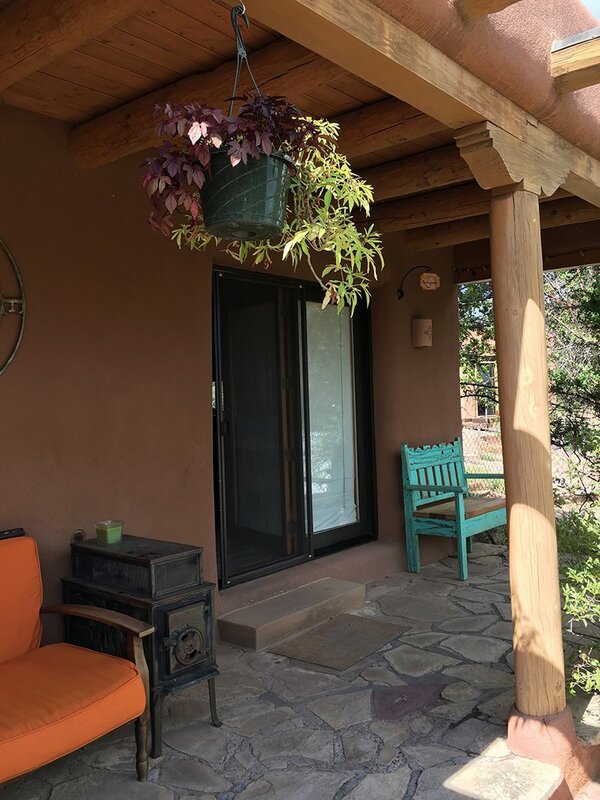 The Southwest décor with hardwood floors and collections of Santa Fe inspired mementos will make this room special to any guest. 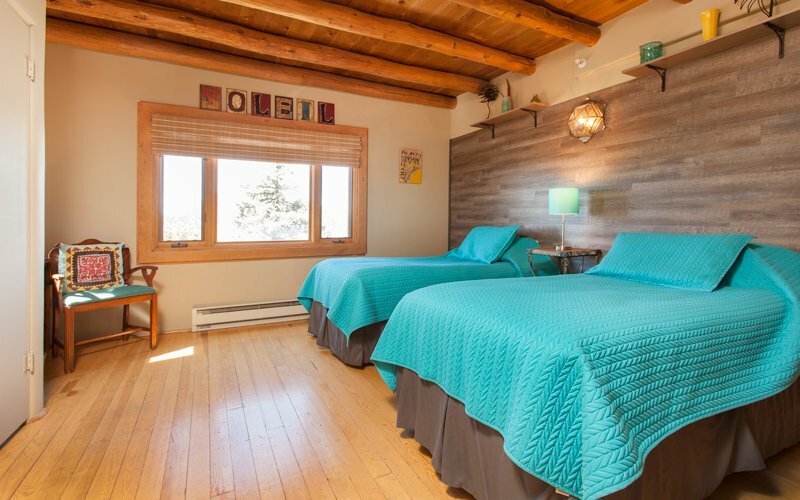 The headboard on the bed is adorned with hand-painted kachina dolls. The natural light makes the days in this room very cheery. This room has a king bed and a love seat with a double sized pull-out bed. Rates are based on double occupancy. There are southwest end tables and rustic lamps. The beds have comfortable pillow top mattresses and we use high quality linens. There is an individual air conditioning system for guest use in this room. 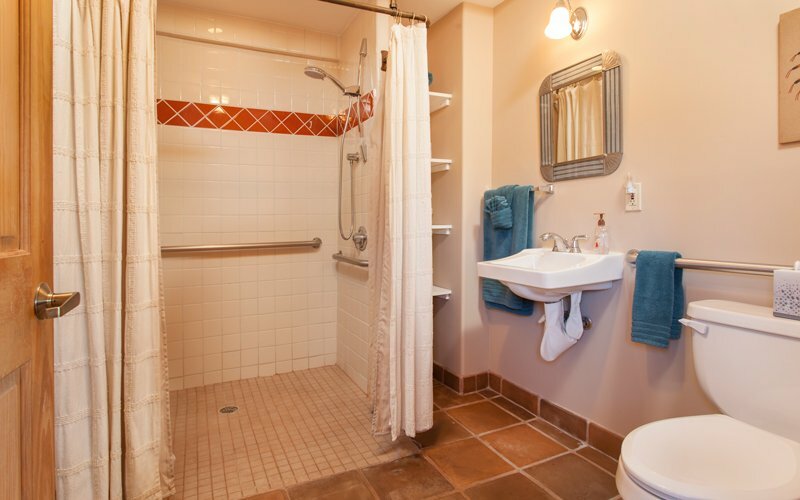 The large private bathroom has a roll-in shower with a bench and is very spacious. This room is ADA accessible. 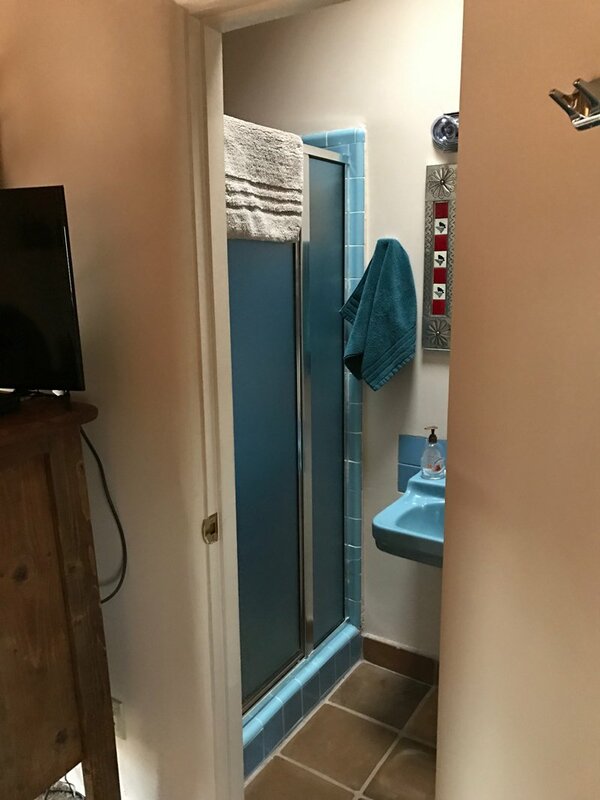 ADA features include wider entrance door to room, more spacious in room, grab bars in the bathroom and a roll-in shower with a bench. The Inn is also has a ADA accessible ramp to the front porch and dining tables that are wheelchair accessible. 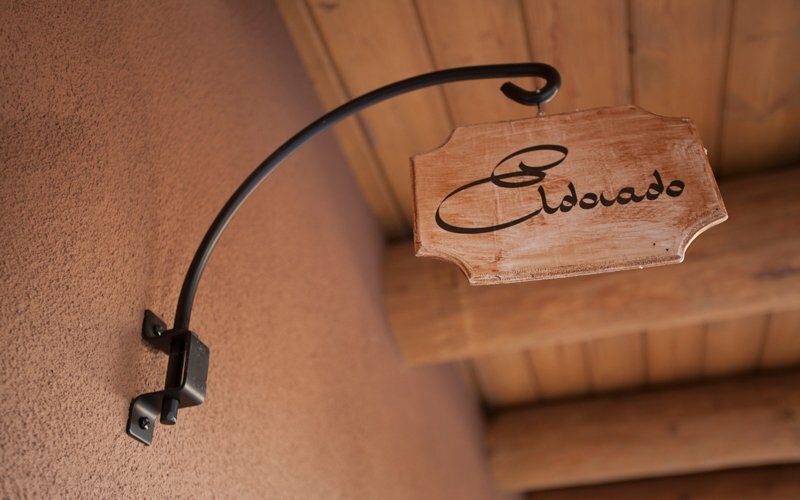 The Eldorado Room at our New Mexico inn has a fun Western flair with great Santa Fe style. 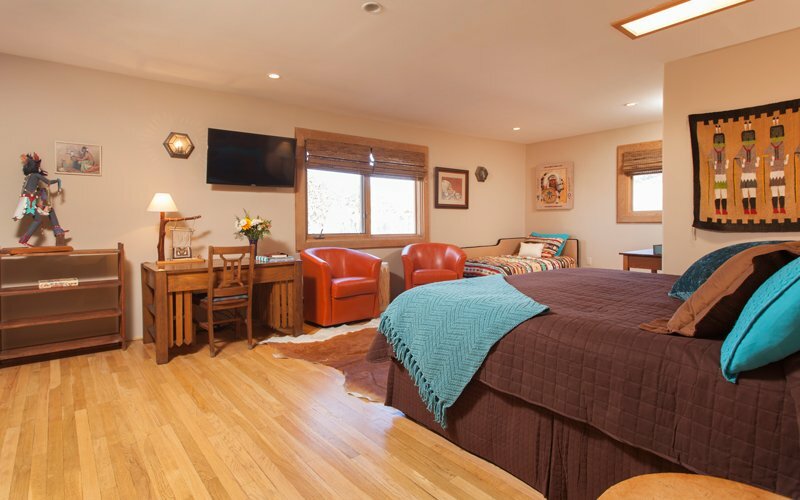 There is a wonderful hand-carved wooden queen-size bed with high quality linens and adorned with cowboy hats and a rope and lamps on each side. 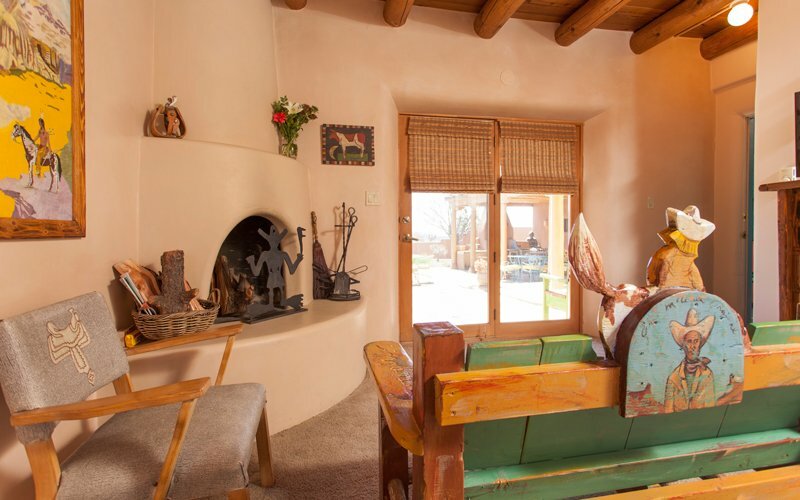 The warm diamond plastered walls, vigas (Mexican-style beams), and a wood-burning kiva fireplace help to create a warm and welcoming ambiance. The Eldorado room is unique at the Bobcat Inn in that there are 2 doorways. There are French doors opening to the patio and courtyard where there is plenty of comfy seating on the patio to enjoy the views. There is also another entrance back into the bed and breakfast from this room. Since this room is toward the back of the inn, guests can choose to park in the front or back for their convenience (weather permitting). 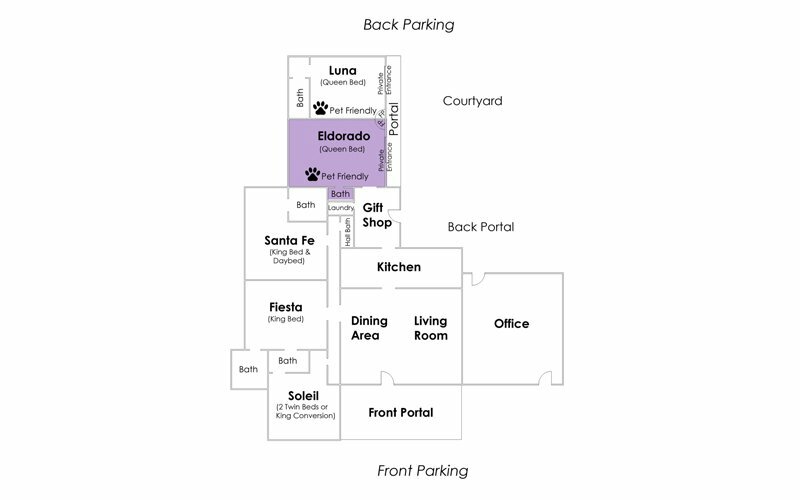 The Eldorado Room is very good for bird watching and also has views of the foothills and Rowe Mesa. Enjoy the sitting area by the fireplace or just enjoy the views off the patio. Our burning season is November through April, however the kiva fireplace adds to the ambience year round. 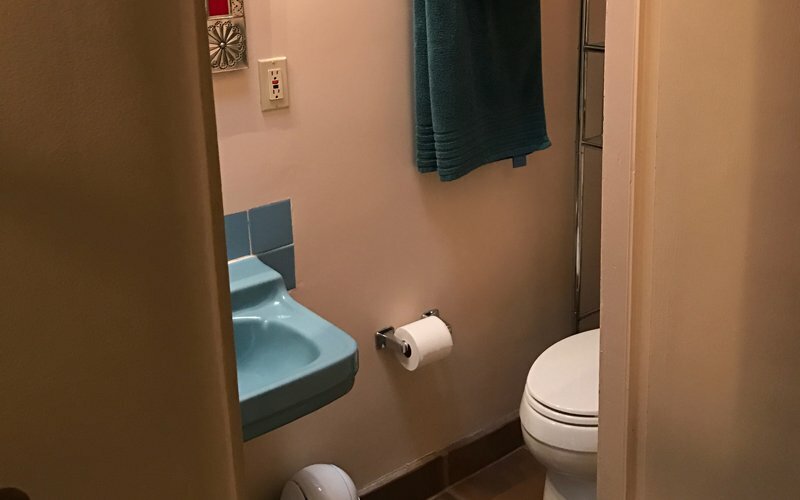 The private bathroom is on the smaller size but is completely manageable. The Eldorado room is pet friendly. 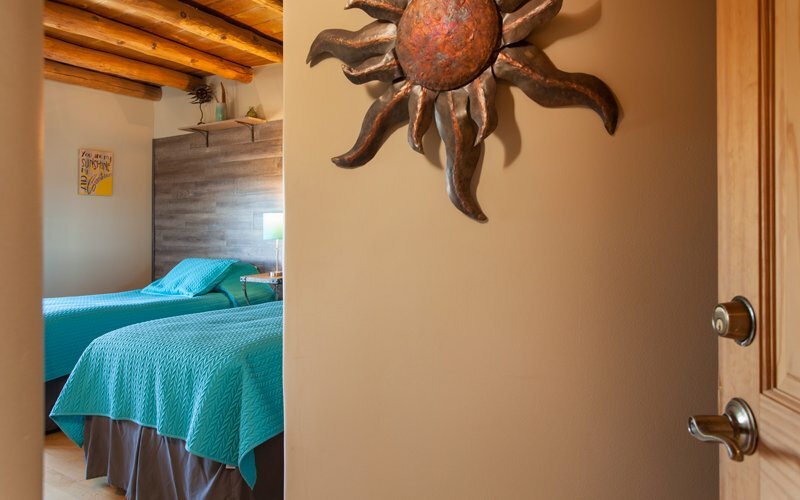 The Luna Room is all adobe and has vigas, (Mexican-style beams) adding to its rustic appeal. 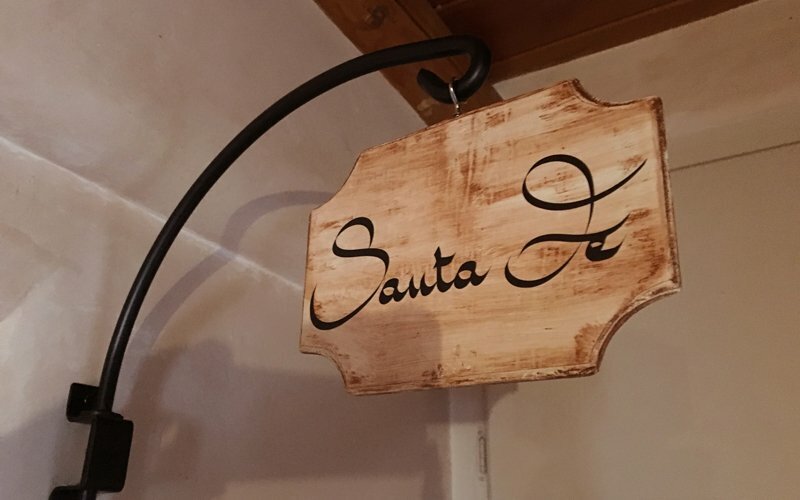 There is a queen bed with high quality linens so your best nights of sleep are ahead of you and you will be able to rest comfortably after all your adventures exploring Santa Fe's many cultural attractions. 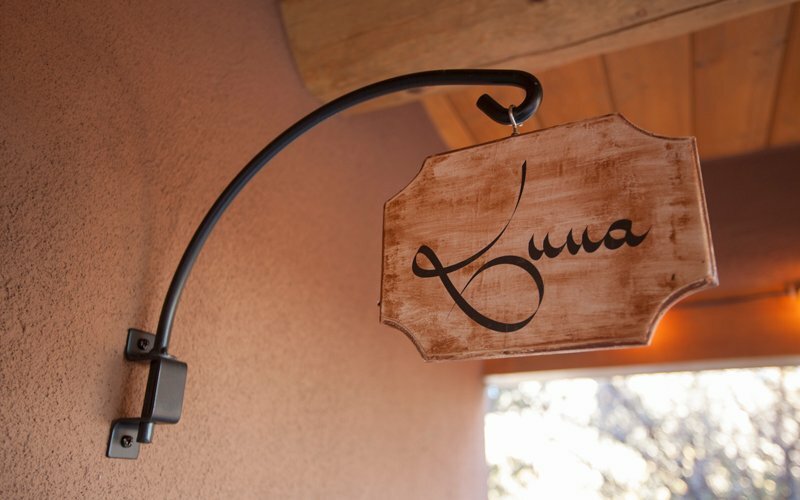 The wood-burning kiva fireplace adds to the Luna’s charm. Although our burning season is November through April, you can sit on the wooden bench next to the fireplace and take in the breathtaking views. 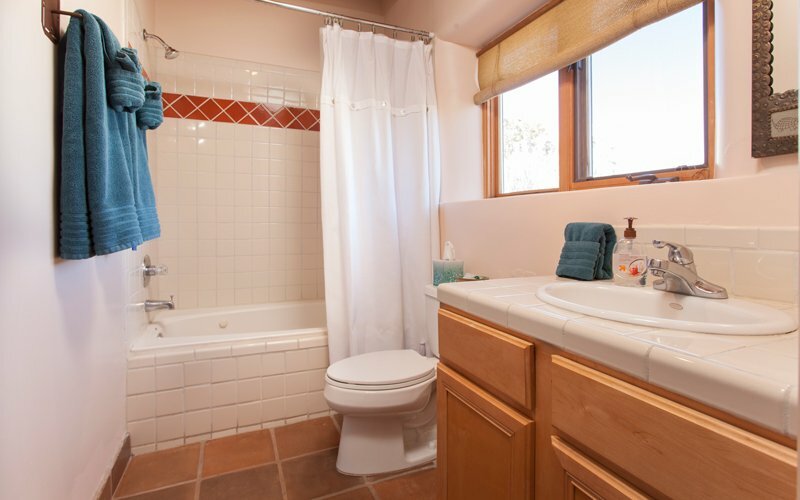 The bathroom has a jetted tub and shower combination with ceramic tile. 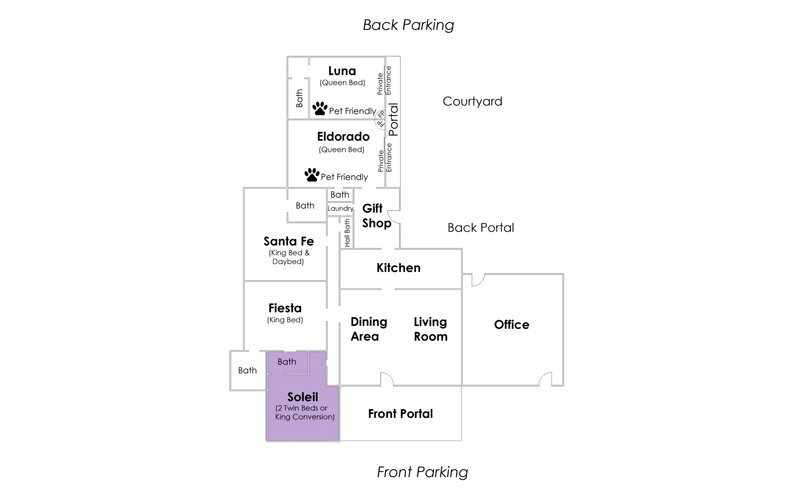 The Luna Room is at the back of the Inn, so guests can decide to park in the front or the back at their convenience (weather permitting). It also is very private with nice views of the foothills and our gardens. Santa Fe takes protecting the sky very seriously, wait until you see the night sky on a clear evening. The stars and moon are so clear you can see every constellation in detail. There is great seating on the portal for both patio rooms to use. 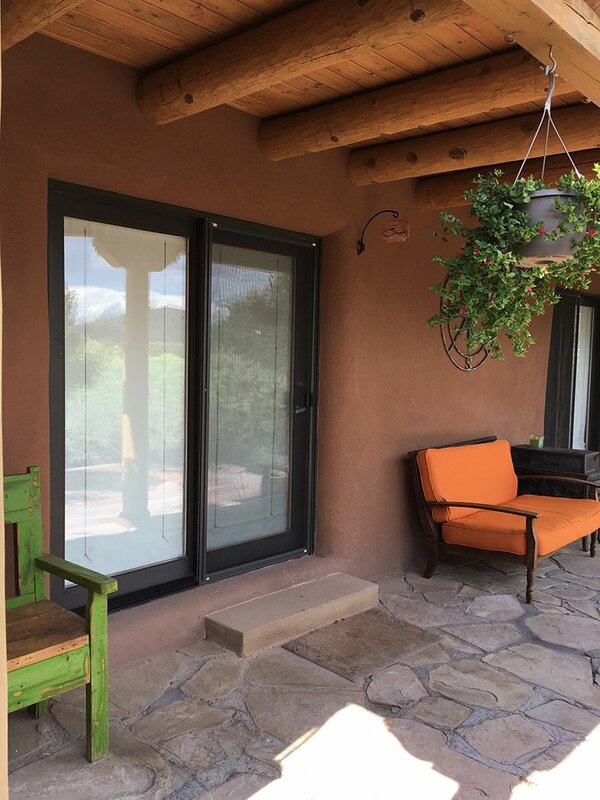 The french doors open to the courtyard and provide a private entrance. 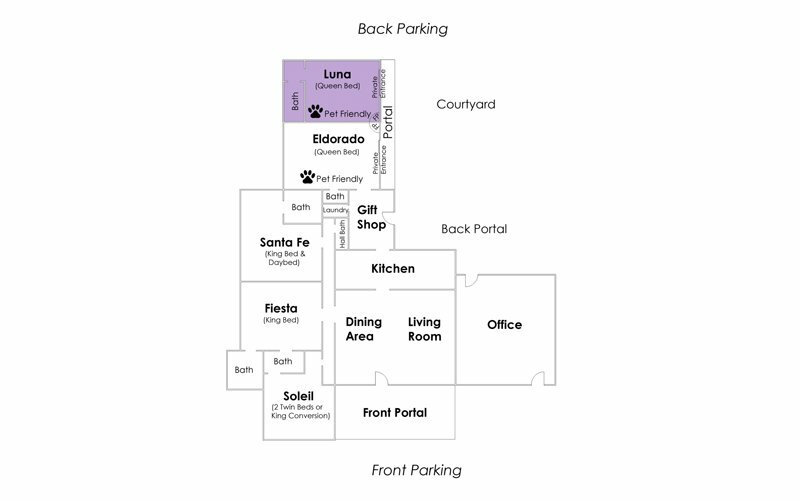 The Luna room is pet friendly.